Riding a motorcycle can be a lot of fun. Those who ride talk about the feeling of freedom when riding. Drivers like the feeling of the sun and the wind and being exposed to the elements (assuming it’s not raining). However, that feeling of freedom also exposes riders to a risk of being seriously injured or killed in accident. Crashes that would otherwise be considered fairly minor if riders were safely inside a car, truck or SUV can be devastating to someone on a motorcycle. This is not to say it is the motorcycle riders’ fault if they are injured in an accident, but the physics of the situation does increase the chances of injury in a crash. According to recent news article from Fox, two motorcycles were involved in a serious crash in the New England area. Authorities say the accident occurred in Route 190 in Connecticut on a Saturday afternoon. Witnesses say the two motorcycles were traveling eastbound when they collided with one another. One of the motorcycle riders was a 55-year-old man who was seriously injured in the accident. First responders were able to provide immediate medical attention before transporting him to a local level-one trauma center. 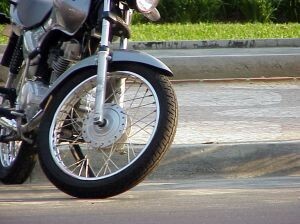 The other rider was 54-years-old, and was also seriously injured in the two-motorcycle accident. First responders treated him to the best of their capabilities and transported him to a level-one trauma center in Massachusetts by medevac helicopter, as his injures are believed to be far more severe than the other rider. The highway was entirely shut down for hours following this serious motorcycle accident, so emergency workers could attend to the victims and clear the debris from the roadway before reopening the lanes for travel. The accident is still under investigation, and authorities have not yet released a cause for the motorcycle accident. Our Boston motorcycle accident attorneys would like to take this opportunity to wish both vehicle accident victims a complete recovery and also to remind others on motorcycles to ride safe and always wear a helmet. Not only is a helmet required by law in the Commonwealth of Massachusetts, wearing a properly fitting helmet with face shield can seriously reduce the risk of head trauma and injury to a rider’s face and eyes. If you or a loved one has been involved in a serious motorcycle accident that was another person’s fault, you should seek a consultation with an experienced motorcycle accident attorney as soon as possible to see what rights you may have to full and appropriate financial recovery. As part of a motor vehicle insurance settlement, or jury verdict should the case go to trial, you can claim damages for any pain and suffering, lost wages as a result of missed work in the past and future as a result of your serious motorcycle accident, special damages for certain types of medical injuries, and other types of damages to fully compensate you for your total losses. There can also be claims by victim’s spouse for direct causes of action, such as loss of consortium in certain circumstances. However, every case is different, so you should speak with your car accident lawyer about the facts relevant to your particular situation.